I may not be the biggest fan of comic books or superheroes, but I love me some X-Men. I’ve enjoyed every movie to date, and the most recent, First Class, was one of the best. When I started learning about Days of Future Past and realized it would combine the casts of First Class and the original movies, I knew I’d be in for a Hell of a ride. Days of Future Past didn’t turn out to be what I expected, but I am not at all disappointed. Despite the best efforts of Professor Xavier and the X-Men, the hatred for mutants boils over, and humanity unleashes on army of unstoppable killing machines called Sentinels to exterminate all mutants. This sparks an apocalyptic war that leaves mutants all but extinct and humans little better off. In this bleak future, the few remaining X-Men take a desperate gamble to set everything right. They send Wolverine’s consciousness back in time fifty years to the 1970s in the hopes he can rally the X-Men of the day and prevent the murder that forever soured humanity’s view of mutants. 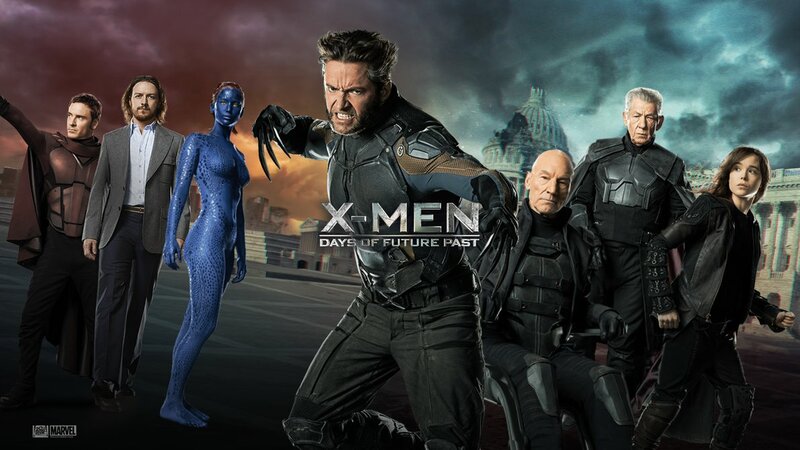 Most of the movie takes place in the past focusing on the First Class cast (plus Hugh Jackman as Wolverine), but there are also flash forwards to the future as the survivors of the X-Men, played by the cast of the original movies (including Patrick Stewart, Ian McKellen, Halle Berry, and Ellen Page), as they fight to protect Wolverine’s unconscious body from the Sentinels. The movie got off to a slow start at first. I wouldn’t call it boring, but I wasn’t on the edge of my seat, either. But then things changed in a big way. I won’t give away specifics, but there’s a scene early on where things go very wrong, and that’s when things start to get interesting. And that gets to the heart of what is most compelling about Days of Future Past: Things go wrong. Spectacularly, and often. The problem with superheroes is that they’re, well, super. It’s all too easy to turn them into divine figures, invincible and infallible. They cease to be identifiable as characters at that point, and there’s no drama when they’re too powerful to be defeated. What I like about Marvel superheroes in general, and the X-Men in particular, is that they’re not like that. They’re not perfect, or unstoppable. They have great powers, but they’re still essentially people. They have flaws and fears, and they make mistakes. And that fallibility is on full display in Days of Future Past. We see Charles Xavier at his lowest end, rejecting his powers and consumed with regrets over what he’s lost, and as he goes, so go the X-Men. It doesn’t take long for Wolverine’s plan of a simple resolution to history’s mistakes to go wildly wrong, and things just spiral downward from there. Days of Future Past isn’t nearly as action-packed or epic as I expected it to be. There’s still plenty of action, but I was expecting a cosmic war and pew pew from start to finish. At times, it almost doesn’t feel like a superhero movie, even as the super powers are on full display. There isn’t even a supervillain, really. Instead, Days of Future Past is a much more emotive and character-driven tale, and you know what? I’m not complaining. The clever thing about Days of Future Past is that it takes full advantage of the personal, not quantum, implications of time travel. It’s a movie about regrets, and trying to set right the wrongs of the past. This ties into what I said earlier about the X-Men being more human and approachable than other superheroes. It doesn’t matter if you don’t have blue skin or can’t read people’s minds. If you’ve ever felt regret, you can identify with the characters in this movie. The emotional weight of the film is further helped along by the once again excellent acting of the cast. I apologize for the small spoiler, but there is a scene in which both the past and future versions of Professor Xavier have the chance to interact, and thanks to the mighty acting chops of both Patrick Stewart and James McAvoy, it is amazing. I think I may have actually admired Days of Future Past as a writer more than I enjoyed it as a viewer. It’s a very inspirational tale of redemption, but it never comes across as preachy or sugar-coated. That’s not an easy balance to achieve. I have only two complaints about this movie, and they’re both very minor. One is that this is another case of continuity being thrown out the window. 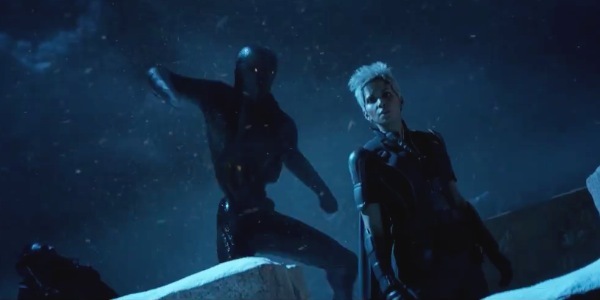 For instance, the elder Professor Xavier appears in Days of Future Past, despite being killed in the third movie. This is not explained in any way. But comic books and continuity have never really mixed, and it doesn’t bother me that much. The other is that I can’t see how the next movie is ever going to live up to this one. Overall rating: 9.4/10 Almost certainly the best X-Men movie to date, and one of the best superhero movies of all time. Even if you haven’t seen the previous X-Men movies, even if you’re not into superheroes, you should see Days of Future Past. I’m glad you enjoyed it. I didn’t, which is fine, people have different tastes. I thought there were too many unexplained side characters, which diminished the emotional impact and restricted time available for the bigger heroes, and that there wasn’t enough humor to validate and balance the drama. By comparison, I thought The Avengers offered a better balance of comedy and drama, and Captain America: The Winter Soldier illustrated how better to handle a tone of pervasive, threatening evil. Even in superhero movies, I want to be able to believe the world is in real danger. McAvoy was terrific I agree, but Fassbender spent his considerable talent grimacing as if constipated, and Jennifer Lawrence was only used to set up her stunt double kicking butts.